The PPM solves the vexing problem of managing a slew of projects without the overhead of a long learning curve associated with other project portfolio management software programs. The software automatically recognizes the user from the Windows network login, and provides read-only or read-write access to different program features based on the user's individual settings. 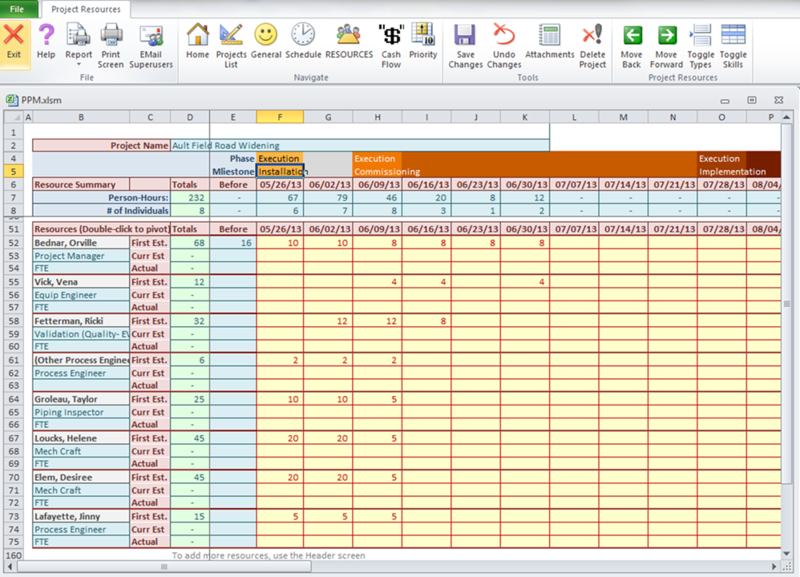 • The standard Excel Ribbons are replaced with a custom ribbon, providing the users with command specific to the PPM. • PPM subscribes to the standard AutoSoft color protocols. A yellow cell with a red font is designated for user input. • True Multi-user; many users can simultaneously enter data. Microsoft Access, SQL Server, or Web-Based Database back end. • Integrated Time Tracking capabilities. The HOME screen provides a number of "One-Click" reports as well as easy navigation to the rest of the program. The User can then quickly navigate the Projects screen where a list of all projects are presented. The default listing shows only those projects assigned to the current user, but all projects can be displayed if so desired. 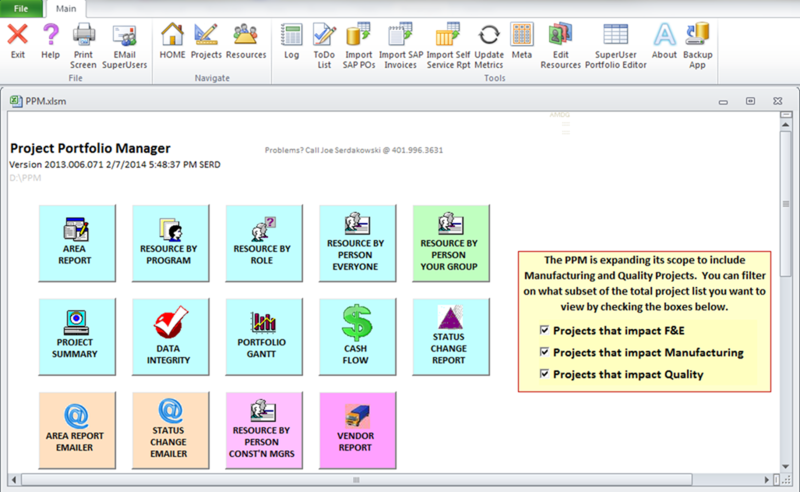 And to check on an allocation on any resource, a simple click "pivots" over to see what projects have been assigned to the selected resource. 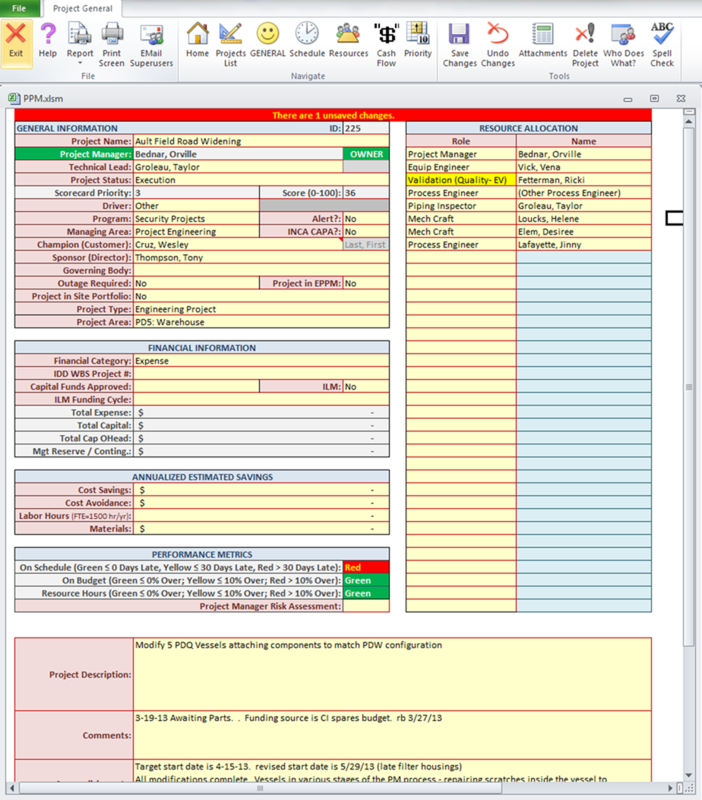 The Project Manager can then quickly and easily balance resources to "fill everyone's plate" without overflowing it. In this example, Harry Smith is overscheduled for the week of 10/06/13, snf hsd 8 hour available during the week of 11/17/13. Note the color gives instant feedback. 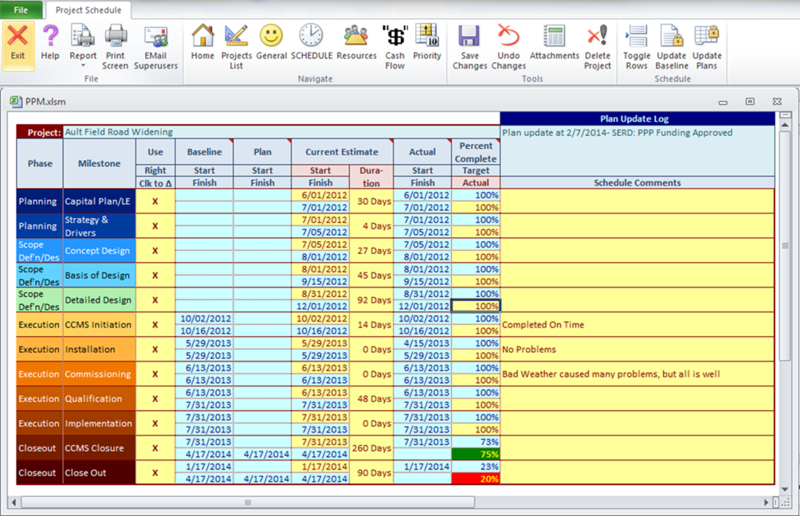 Also note the color bands telling the user what stage each project is in each week.